G.P.506 had been granted with 18SG in Malaysia, which mean that it is necessarily for the cinema crew to check all viewers' age before letting them enter the auditorium. 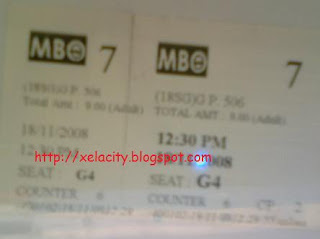 But frankly telling, we didn’t saw any cinema crew at all during the time we are entering the auditorium in MBO , Melaka. This is also why my ticket still remains complete as what you can see below.